A Nigerian lady, yet-to-be identified lady might have just ruined chances of ever being in good terms with her future mother-in-law according to her post. She shared a post on a closed Facebook group where she chose to remain anonymous, narrating how she went to visit her fiance’s mother for the first time and was offered food without meat or fish despite helping the woman prepare the meal. 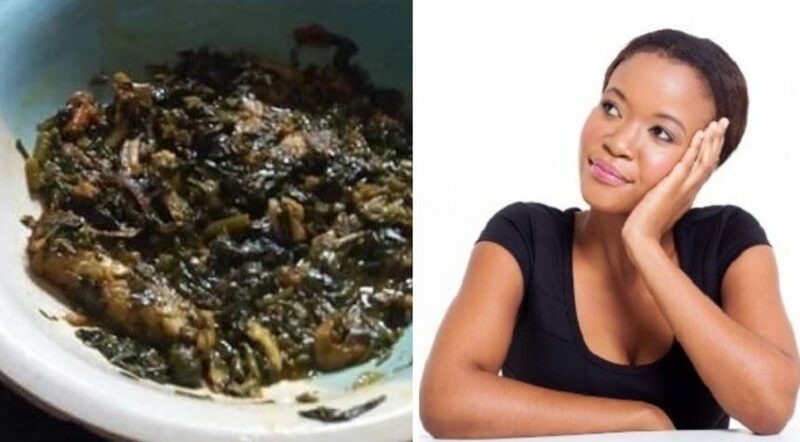 She stated that she left the food untouched since she cannot eat a meal without meat or fish, and went home with the hopes of showing her man the food that was served to her by his mother. Her fiance in turn has not been picking her calls ever since, probably angered by her behaviour. “I was invited for the first time by my supposed mother in-law . So I decided to go visit her today because I don’t work on Saturdays. When I got there, I was really comfortable because the house is well furnished and everyone in the house was nice to me. Then few minutes later after they finished cooking, which I also helped out in the cooking. She sent their house help to serve me this. The portion of EBA is not even the problem because I don’t eat much but I have never eaten a meal without meat or fish inside before.